Electric bicycle components are specialised and quite varied. There are three main parts to every bicycle and three secondary electric bicycle components that are much needed accessories. Here Yellow Magpie takes a look at the different ingredients that combine to make a working electric bicycle. 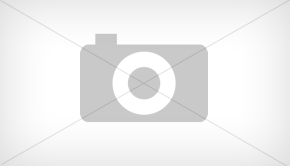 Electric bicycles are comprised of three main components. Providing the locomotion is an electric motor which is fed by a battery. Managing the battery and motor is the electric controller. While the motor does the grunt work – powering the bicycle and rider, the brains of an electric bicycle rest with the controller. Controllers, or electronic speed controllers to give them their proper title come in two varieties. Sensored and sensorless. Sensored controllers go together with brushless motors (see below) whereas sensorless are matched with brushed motors and may need to be pedalled first before the motor can start. The battery is arguably the most important part of the electric bicycle equation. There are two main types commonly in circulation. Lead-acid and lithium. Although initially cheaper to purchase, lead-acid is more expensive than lithium in the long-term with terrible performance issues. 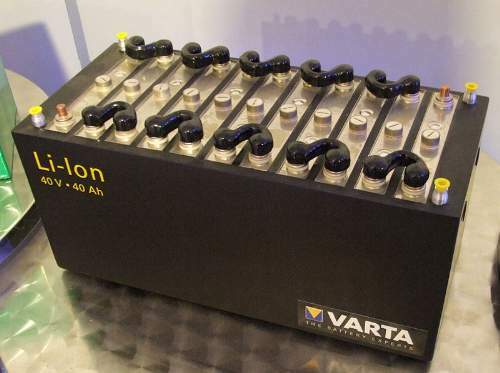 Lead-acid batteries are up to four times heavier than their lithium counterparts and typically need to have twice the amp-hours of a lithium battery to last the same duration. Lithium is much more energy dense, lighter and gives far greater performance. What’s more, its lifespan is multiples that of lead-acid. Lithium makes better sense both economically and performance-wise. Lithium batteries are also roughly 15 per cent more efficient at taking a charge than the lead battery equivalent. 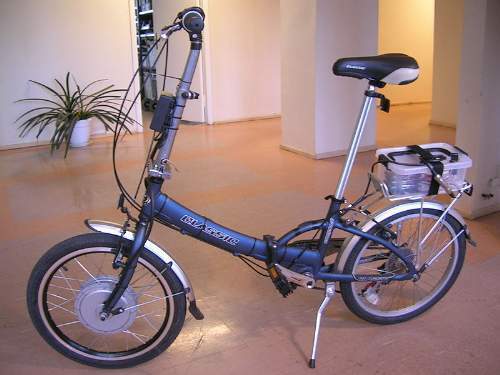 The battery is the most expensive part of an electric bicycle purchase. Larger batteries provide more range but there are several different chemistries each offering differing characteristics to choose from. Electric bicycle batteries generally employ a battery management system (BMS) to monitor the state of charge and discharge. The BMS prevents the battery from being damaged due to over-discharge or over-charging. The secondary electric bicycle components are the throttle, electric brakes and a monitoring display. The throttle comes in two different types. 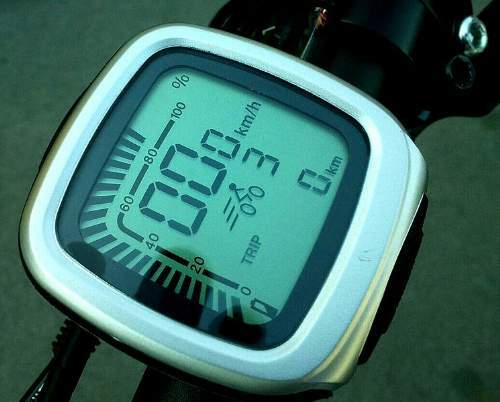 A pedelec sensor which detects the speed at which the pedals are moving. The data is then translated into the appropriate speed for the motor. Some pedelec sensors can even detect the amount of force being applied to the pedals. The other form of throttle is power-on-demand-based. These can be obtained in two further variants a thumb-throttle and a twist throttle. The twist throttle is almost identical to what is found in motorbikes while the other is simply pressed by the thumb. Electric brakes, or E-brakes, are similar to normal bicycle brakes except when they are pressed the brakes push a switch that shuts off the motor. This is a very important safety feature as it prevents the motor from working when the brakes are applied precluding damage to the electric motor and averting accidents. E-brakes are also an especially useful component when using cruise control to maintain a steady speed. It is very important to know how much energy is left in your battery and to see this your electric bicycle must have some type of monitoring display. Cheap displays will only monitor the voltage which is less than ideal as some battery chemistries drop voltage dramatically as they become empty. One of the best electric bicycle monitoring displays on the market is the Cycle Analyst. The Cycle Analyst can measure the amount of amp-hours being used, the current, voltage, the number of cycles on a battery, the temperature of the electric motor, the wattage being used as well as providing how many human-powered watts the rider is producing. As far as battery monitoring systems go the Cycle Analyst is one of the best. You may like to read Yellow Magpie’s Electric Bicycles: The Electric Revolution For Everyone and Electric Bicycle Motors: Options For The Electric Bicyclist.